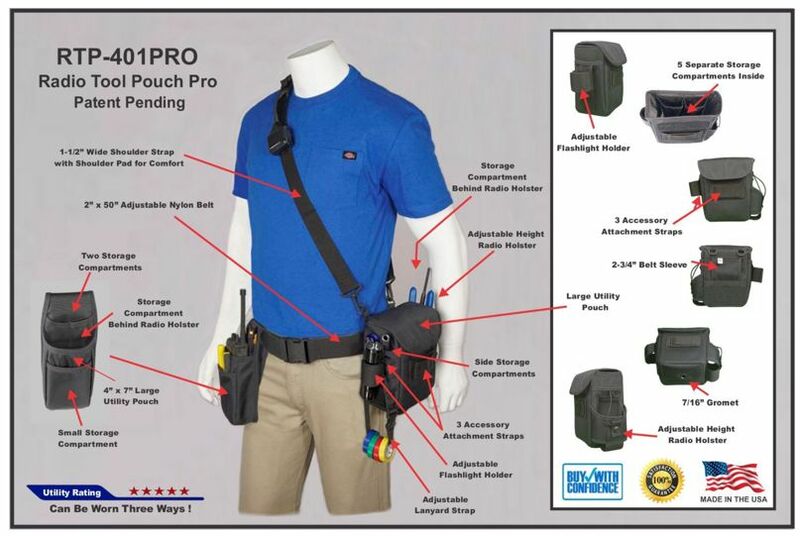 RTP-401P (Pro) allows you to carry your radio and essential tools in one of 12 different pockets or pouches. The holster's universal sizing capabilities for the radio and flashlight means you can carry your existing equipment with confidence knowing it will work! The radio tool pouch can be worn in three different arrangements; (Shoulder Strap and Belt) is the preferred method of wearing this system or you can wear it by itself with the (Shoulder Strap only) or the (Belt only).